Home / GEMSTONES / How to wear gemstones? 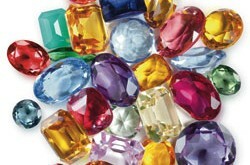 There are basically four steps we should consider before wearing any gemstone. The first step is to see that the base of the ring is open while getting gemstone fixed in it. This way it gives you the maximum effect and one should check the ring for size alterations after getting it made. 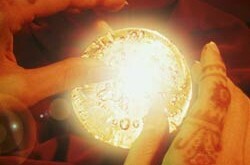 The second step is to get the ring energized or purified which is also known as Shudhikaran. It is done by chanting various mantras and by performing pooja. It should be done by experts so one is advised to get it done by pundit. Shudhikaran extincts the negative energy and does not let them surround the gemstone. .The fourth and last step is to wear the ring. One is advised to wear the ring on the day as preferred for their planet in morning before sunrise, time which is known as Bramha Muhurata. One should rise and take bath in this period and then stand with bowl kept at clean place and chant 108 mantras of his planet. Like if one wears ruby stone then he should choose Sunday and say mantra “OM SURYAAY NAMAH” 108 times. It is difficult so one is advised to go to the temple and get this step done by pundit for them. Non believers can skip the mantra and wear ring straight. Many astrologers prescribe to wear Blue sapphire and other gemstones at night but it is advised to wear all the gemstones in day hours. The reason behind it is that if the gemstone causes negative effects over health which it causes within 20 minutes to 8 hours after wearing, one can remove it while he or she is awake. The damage by it can expand if the negative effects occur while in sleep.